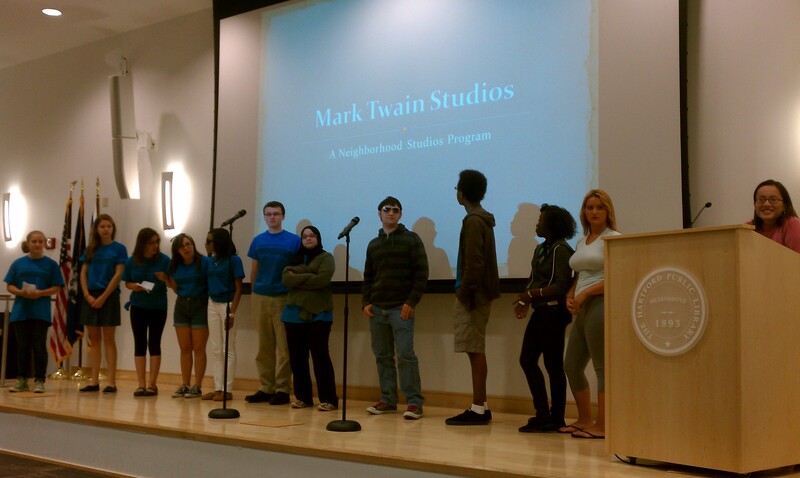 Writing Apprentices of Twain Studios Showcase Their Work | Write to the Point! 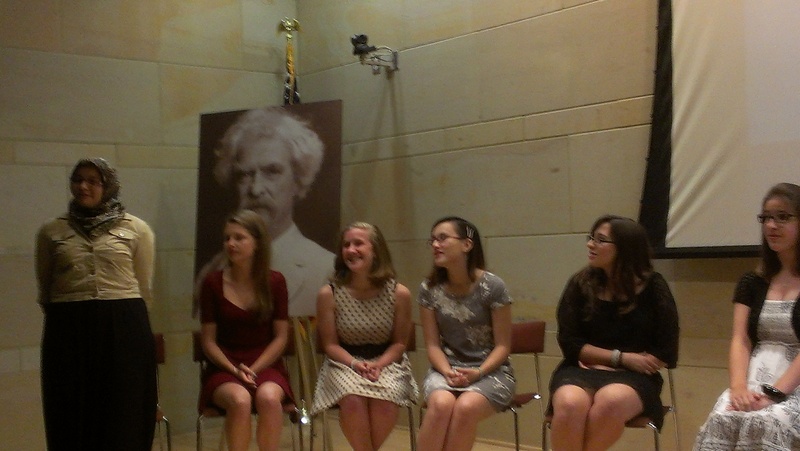 At their own Studio Showcase at The Mark Twain House & Museum, the Twain Studios Writing Apprentices read their work. 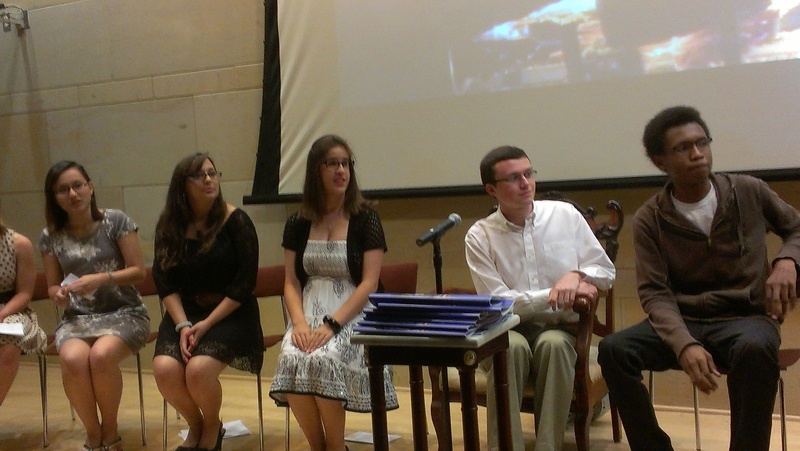 Shown here are Lina Allam, Ambriel Johnson, Molly Miller, June Tran, Meaghan Szilagyi, Cecilia Gigliotti. 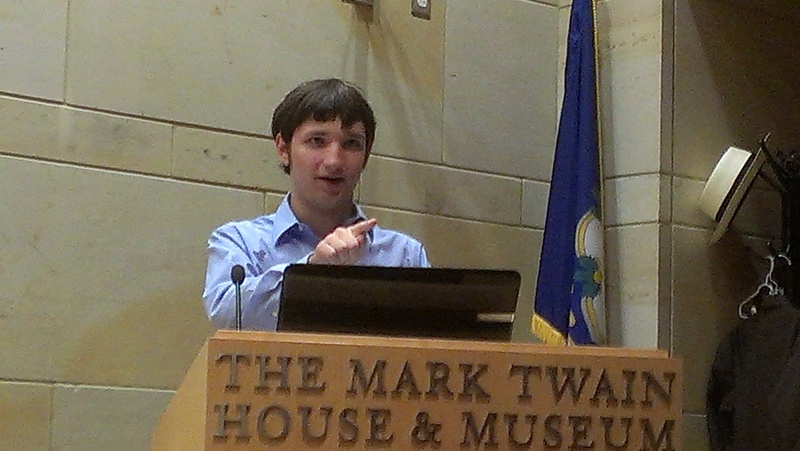 Writing Apprentice Alan Burkholder reads his work at the August showcase.